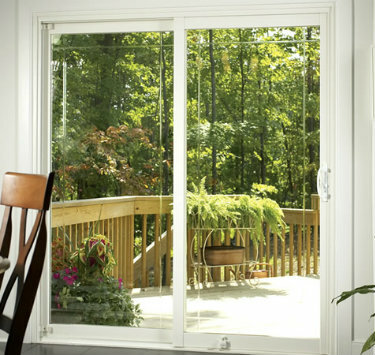 Bring the outdoor beauty inside with patio doors from Stockmohr. Wide-open viewing allows more natural light into any room, making the space feel larger and more open. Enjoy the view from inside, in any season. These patio doors are expertly crafted; constructed from white pine and vinyl, and reinforced with metal for added structural strength. You can count on years of maintenance free performance. Cleaning is a snap, just wipe down with damp cloth and it looks brand new. 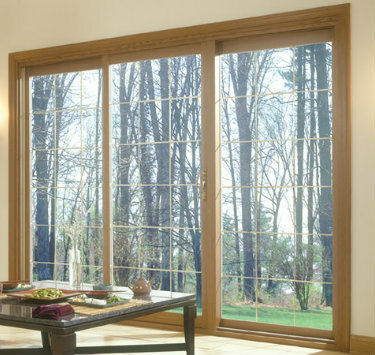 Keep the room warm in the winter and cool in the summer with high performing insulated glass. High-performing, insulated glass increases energy efficiency and lifetime of windows.